Some meals are just extra special and this is definitely one of them ! 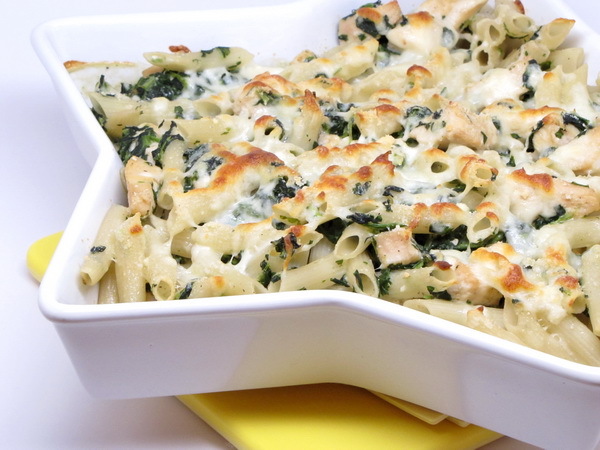 The perfect portion of pasta, chicken and veggies all covered in a scrumptious sauce and layers of cheese. You just can’t go wrong ! Preheat oven to 375 degrees. Cook pasta according to package directions. Heat dressing in a skillet. Mix chicken with flour and add to skillet and cook 3-4 minutes or until browned. Add broth and cream cheese and cook until cheese is melted. Add the spinach, garlic powder, salt and pepper and heat 1 minute. Remove from heat. Mix drained pasta with skillet mixture and spoon half of it into a 2 quart casserole dish. Top with ½ the mozzarella then add the rest of the chicken mix. Finally top with the remaining mozzarella and the parmesan. Bake 20 minutes to heat through and melt the cheese. Where do I begin? Sweet angel food cake? No, that was good, but that’s not the start. Luscious homemade whipped cream? No, as decadent as that was, it’s not the start of the story. The best, best part of this was the strawberry mix – – combing the balsamic and sugar along with the berries enhanced the flavor so much that it was like eating strawberries to the 10th power. It was just wonderful ! When you combined that flavor with the whipped cream and cake, this was just the most perfect dessert. 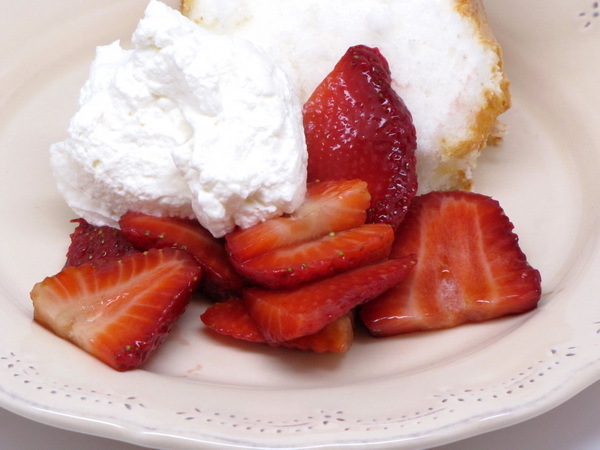 I think it was way better than regular Strawberry Shortcake ! Mix berries with vinegar and ½ T sugar and let sit. Combine cream, vanilla and ½ T sugar and beat at high speed until soft peaks form. Top each slice of cake with cream and strawberries. 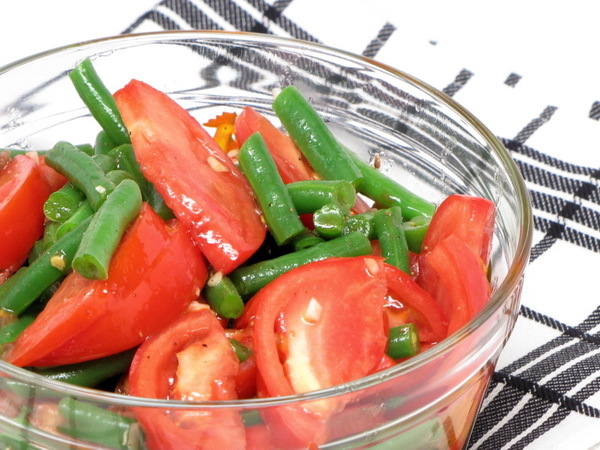 Boil green beans 3 minutes, drain and rinse with cold water to stop the cooking process. Add tomatoes. Whisk vinegar, anchovy and oil and add to beans. Add salt and pepper to taste. 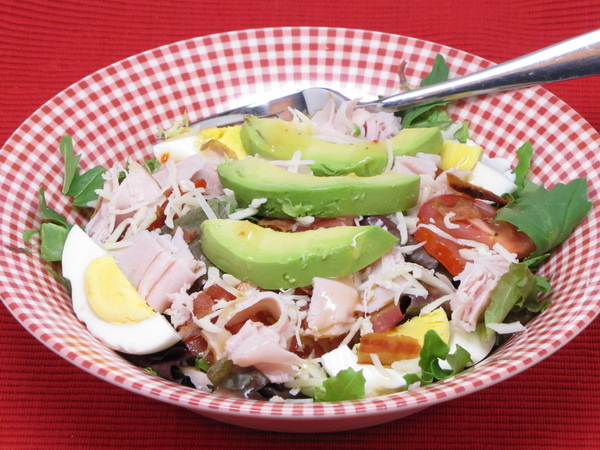 Cobb salads are a perfect lunch. They are packed with protein and give you the energy to get through the afternoon without any ‘3 o’clock sleepies’. Place greens on a platter and then lay other ingredients in strips across the top. Place dressing on top of individual portions. 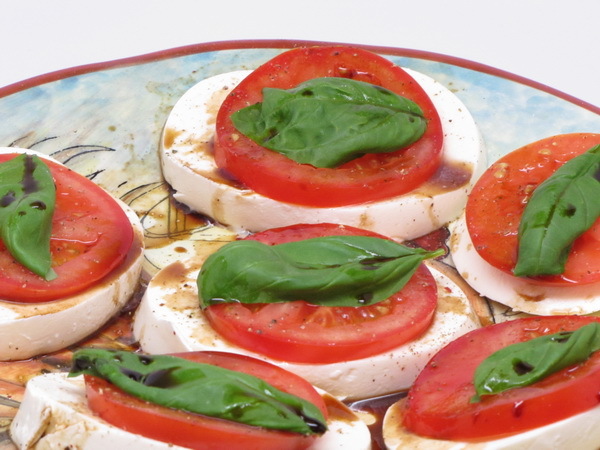 This is best with fresh mozzarella (it is WIDELY available at regular and gourmet markets as well as cheese shops) and fresh garden tomatoes. Place cheese on plate and top with tomato slices. 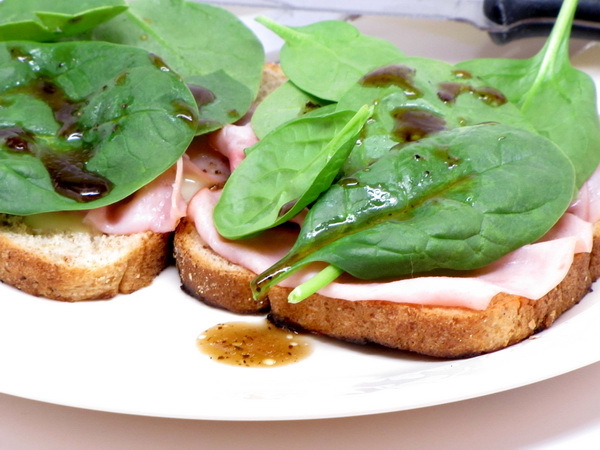 Sprinkle with salt and pepper then top with basil leaves and sprinkle with balsamic vinegar. In Italian, Puttana means whore. Pasta Puttanesca is supposedly a dish often made by these working girls who had little time to cook. Puttanesca sauce is quick to make, full of a bit of this and a bit of that, and so entirely flavorful ! The bite in puttanesca usually comes from anchovies. In this dish, instead of serving the sauce over pasta, it is used as a condiment for fish. And instead of anchovies, the slight bite comes from the mustard coating on the fish. Super good ! This is actually better a few hours later after the sauce has time for the flavors to mingle. Brush mustard on fish. Heat oil in a skillet and cook fish 4 minutes per side or until done. Remove to a plate and keep warm. Add onions to skillet and brown for 6 minutes. Add garlic, tomatoes, dressing, olives, sun dried tomatoes and half of the parsley and basil. Cook 5 minutes then add the fish back to the pan and heat briefly. 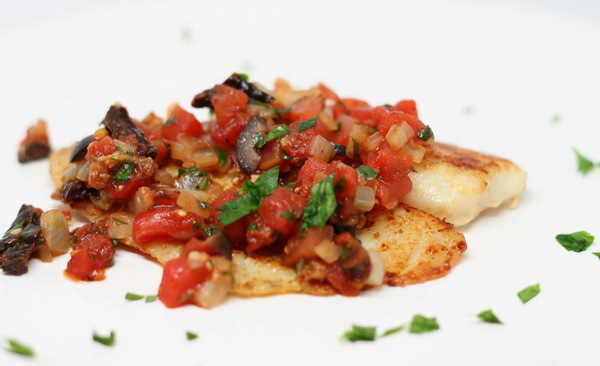 Serve with puttanesca over fish. Garnish with the remaining parsley and basil. I was tempted to leave off the spinach on this one so I could get more brie flavor – I LOVE cheese 😉 But I didn’t and I’m glad I kept it on – it was a nice contrast to the cheesy goodness and embellished it rather than taking away from it. This goes together in 5 minutes and is a nice change from a boring old ham and cheese sandwich. Spray outside of each slices of bread with butter spray and sprinkle with garlic powder. Place buttered side down in a hot skillet sprayed with Pam. Top with cheese and cook a few moments to get the cheese all melty. Top with ham. 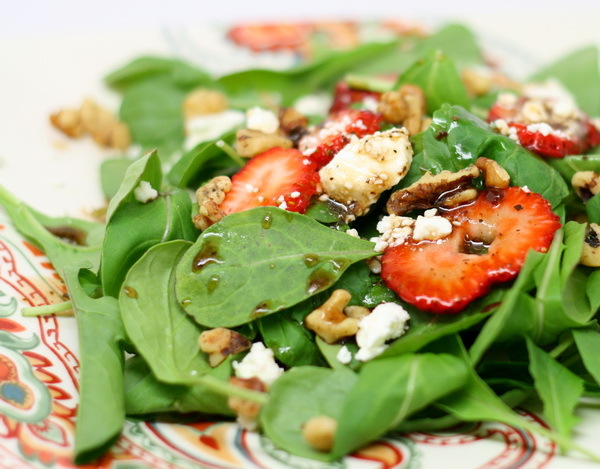 Remove from heat and layer on the spinach leaves and sprinkle with dressing. Serve open faced. Spicy and savory side dish that is perfect next to Mexican inspired meals. The cumin really makes this a different tasting salad. Mix the tomatoes, scallions, garlic and jalapeno. 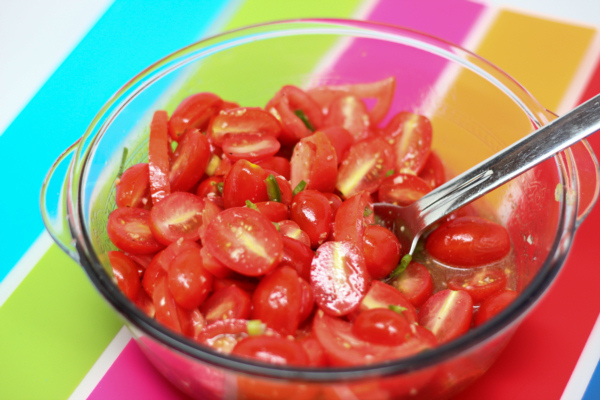 Mix the rest of the ingredients to make a dressing then pour over the tomatoes and chill for at least 1 hour. Looking for a special salad ? This one has the extra special something that makes it great for entertaining and holiday meals. But it’s so easy to put together you that you’ll find yourself making it all the time ! Place the arugula on 4 separate plates – add all the other ingredients and serve immediately. This is a super savory, super healthy dish and a perfect summer dinner. The platter is just stunning to look at and this makes a great dish for entertaining. Serve as a full dinner or as an appetizer. Mix the first 5 ingredients as a marinade and dressing for the veggies. Take ¼ c of the dressing and brush it over the veggies. 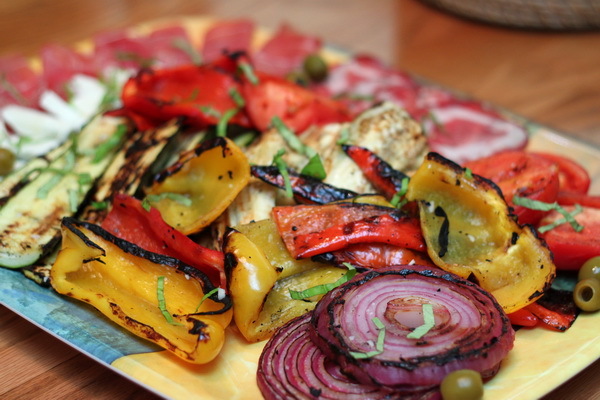 Spray a grill rack with Pam and grill veggies 5 minutes a side or until they have a bit of char on them. Place veggies on a platter and brush with the rest of the dressing and sprinkle with salt and pepper. Add the rest of the items to the platter and serve immediately.